Lord of the Flies, by William Golding is a novel common in high school English curricula. It’s chillingly dark for teenage reading, but as with narratives such as the Hunger Games and other dystopian novels favoured by teens, it hits a chord. The novel is set during an unnamed nuclear war, on an unnamed Island in the Pacific Ocean. A plane full of British Public School boys, crashes into the island killing all supervising adults. 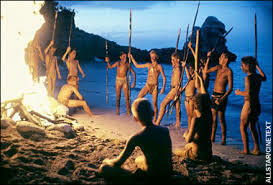 The boys quickly form a small society among themselves, choosing leaders and gathering around their campfires and their signature totem of authority, the conch shell. However, things quickly decline as bullying escalates into abuse, and fear, mounts to superstition and even murder. 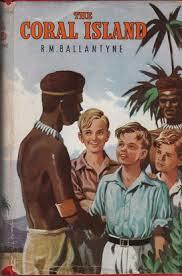 First published in 1954, Golding wrote the text in response to RM Ballantyne’s ‘Coral Island‘ . Ballantyne, a devout Christian, wrote his adventure stories very much through the lens of British Imperialism and to show the civilizing effects of Christianity on the pagan world. In Ballantyne’s novel, his teen heroes encounter fearful savages and pirates in the tradition of “Robinson Crusoe” and “Treasure Island.” His novel is marked by heavy-handed moralism, codes of honour and decency. Golding, reading these novels as a boy rejected the naive premise. He wrote his novel, nearly 100 years later, with a much more pessimistic modernist twist. 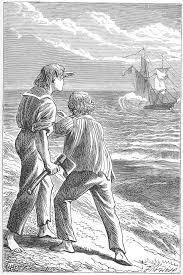 While both novels feature protagonists named Ralph and Jack, in Golding’s novel, the boys don’t encounter savages and pirates. Rather, they encounter the rather chilling evil within – The Lord of the Flies. The title is borrowed from a biblical reference itself in 2 Kings 1:2-3; “The Lord of the Flies” is a translation of Beelzebub. In doing so Golding corrects the faulty logic of an earnest Ballantyne. Christianity did not bring civilization to the savage world but brings knowledge of the savage to the civilized world. 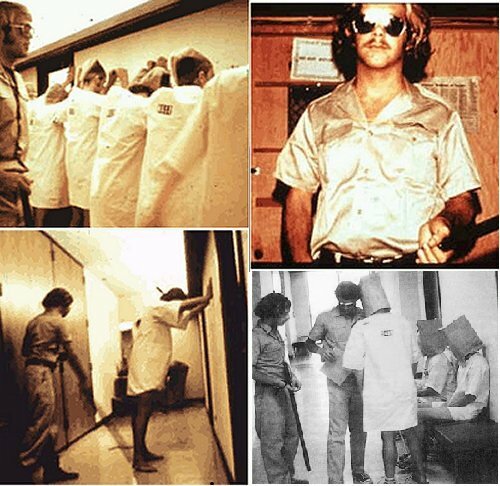 A fascinating study well known to students of psychology is The Stanford Experiment. Conducted in 1971, led by one Professor Phillip Zombardo, the experiment entailed twenty-four male students to be selected to take on roles of prisoners and guards in a mock prison for a period of 7–14 days. The participants adapted to their roles so well and the guards enforced authoritarian measures so intensely that they ultimately subjected some of the prisoners to psychological torture. Professor Zombardo was so affected by the role play he allowed the torture to continue. Many of the prisoners passively accepted psychological abuse and even harassed others who protested. The whole experiment had to be abruptly abandoned after only six days. Zombardo later wrote about it in a book titled, The Lucifer Effect. The Lord of the Flies is a timeless reminder, not to externalise evil but recognise if for what it is. I remember vividly reading this novel in Year 11 English and being profoundly affected by it. Quite an indictment on humankind. Reveals our default to original sin. I found it chilling because I could see it in my own heart as a teenage boy. Beneath the rigid facade I was trying to portray to the world that I was a good guy, deep down I knew I was rotten. Golding exposes the elephant in the room. We aren’t born good. We’re born broken. Thanks for writing this post. I don’t remember there being a nuclear war in the book. Is that right?